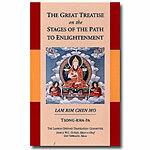 This second volume of the five-volume commentary by the renowned Buddhist scholar Geshe Lhundub Sopa focuses on the key Buddhist concepts of karma, or cause and effect, and dependent origination. 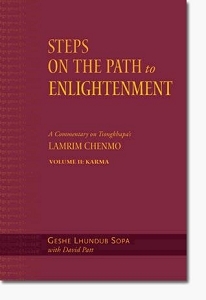 Considered one of the finest scholars of Buddhism alive, Geshe Sopa provides commentaries essential for anyone interested in a sound understanding of Tibetan Buddhist practice and philosophy. Never has a book gone into such clear detail on karma – concept that, despite many references in popular culture, is too often misunderstood. 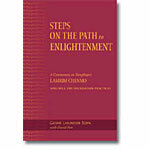 Geshe Sopa is an ideal commentator for the Western reader. Hardcover, 2005 edition, 494 pages. Click here to download a useful Resource Guide detailing different Lamrim materials.